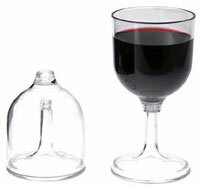 Lightweight wine glass made from incredibly durable Lexan® poly carbonate. Elegantly shaped and with a screw off stem for easy packing. Ideal for picnics, barbeques and elegant camping!